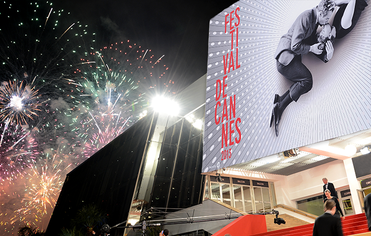 Recap of the second day of the 66th Cannes Film Festival (Festival de Cannes), which runs until May 26, 2013. From France, Jeune & Jolie (Young & Beautiful) by François Ozon. His fourteenth feature and second time in the main competition. A coming-of-age portrait of a 17-year-old French girl over four seasons and four songs. From Mexico, Heli by Amat Escalante. His third feature and first time in the main competition. Opening the section from the USA, The Bling Ring by Sofia Coppola. Her fifth feature film. It stars Emma Watson, Katie Chang, Israel Broussard, Claire Julien, and Taissa Farmiga. In the fame-obsessed world of Los Angeles, a group of teenagers take us on a thrilling and disturbing crime-spree in the Hollywood hills. Also from the USA, Fruitvale Station by Ryan Coogler. Competing for the Camera d'Or with his 2013 Sundance Grand Prize winning debut feature. "Adolescence is often highly idealized. I have painful memories of my own teenage years, so I wanted to deal with the topic again with a greater maturity and experience. "François Ozon on why he made the film. "I tested a lot of actresses, and when I saw Marine I felt that she was different from all the others. She was answering the questions, but in her eyes I could see a whole inner world, a mystery, and that's what I was looking for. "François Ozon on the casting of Marine Vacth. "Well I'm a model but I've never really seen myself as a model. I have a problem with being given a status. I didn't feel any major transition moving between modelling and acting. "Marine Vacth. I might rent The Bling Ring for Emma Watson, though I hope it's eons better than Somewhere. I'm happy that "Jeune & Jolie" and "The Bling Ring" are getting good notices. Plus, I saw some pics of Emma Watson at the red carpet. She is becoming a truly gorgeous woman. Indeed. Can't wait to see both of those. It's certainly got a more interesting story. So that's encouraging. 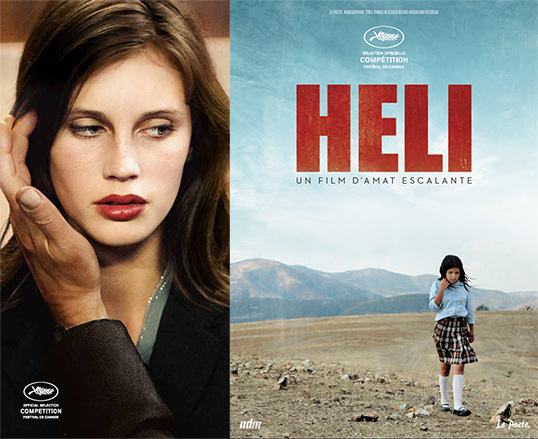 The Ozon looks fascinating and Fruitvale is impressing everyone. I like the post modern quip in Bling Ring that one of the worlds most famous young movie stars is robbing women who are (arguably) less famous than her. It was clever to use Emma Watson - and not just because she can act. Great coverage as usual BT. Thanks for all the posts, especially now that you're much busier. That's a great observation on the casting. Makes it all the more interesting. Thanks for the comment Lisa, glad you're enjoying the coverage. 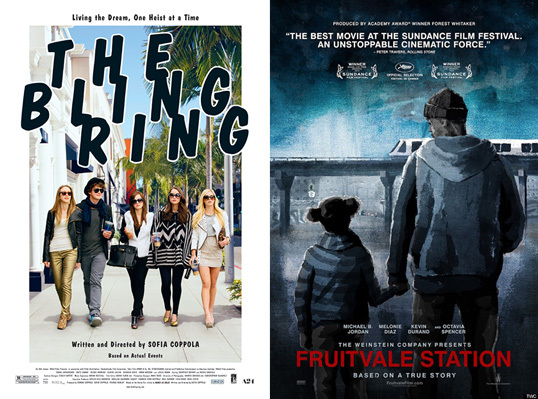 At first I was thinking the opposite as you, but I'm slowly becoming more intrigued by Fruitvale and less by Bling Ring. I don't know about her awards chances here, but the praise she's been getting is encouraging.